Research papers on Islam and Christianity display that these religions are two of the three “Religious Giants” of the world that you may want to write a religion term paper on. These two faiths have many elements in common. For instance, both are monotheistic, revolve around what they believe to be the word of God, outline specific rules for behavior, believe in final judgment and heaven and hell, along with the existence of Jesus Christ. Within these similarities, however, are key differences in their religious belief. Understanding these differences is important in gaining insight into conflict between Christians and Muslims. While Christianity and Islam are both led by prophets, these leaders’ role in religious development was very different. In Christianity, Jesus Christ is believed to be the son of God, the embodiment of holiness. Muhammad, on the other hand, never claimed any form of deification. In contrast, he was a merchant abandoned by his parents in childhood. This major difference between the two is highlighted by Jesus’ reported ability to grant miracles. Muhammad was only responsible for delivering the information he said was revealed to him through conversation with God. 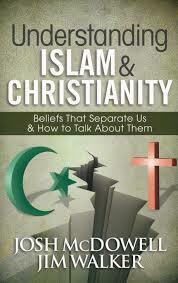 Explore further the dynamics between Islam and Christianity in a religion research paper. Paper Masters writes custom research papers on Islam and Christianity and examine the many similarities each religion shows.